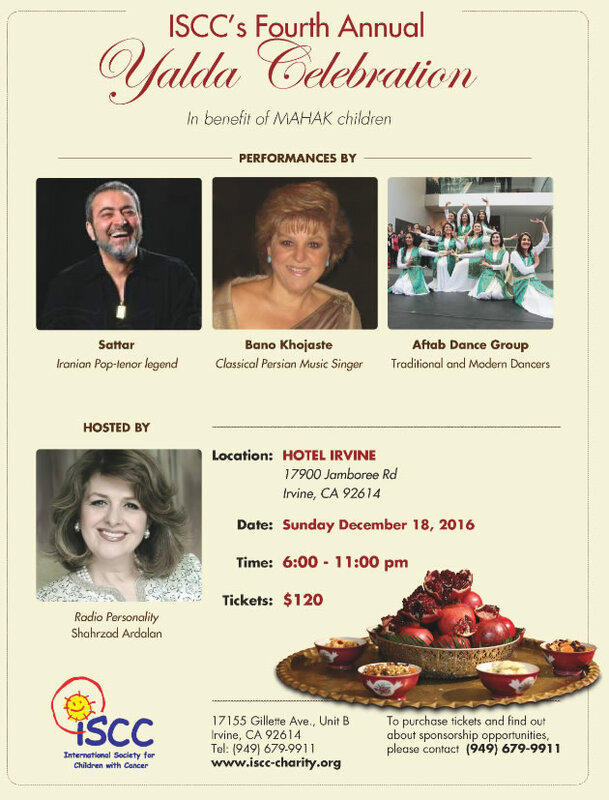 ISCC's Fourth Annual Yalda Celebration in benefit of MAHAK. Performances by Sattar, Bano Khojasteh, Aftab Dance Group. Hosted by Shahrzad Ardalan. at Hotel Irvine, 17900 Jamboree Bl. Irvine, CA. at 6 pm. information: 949.679.9911 .